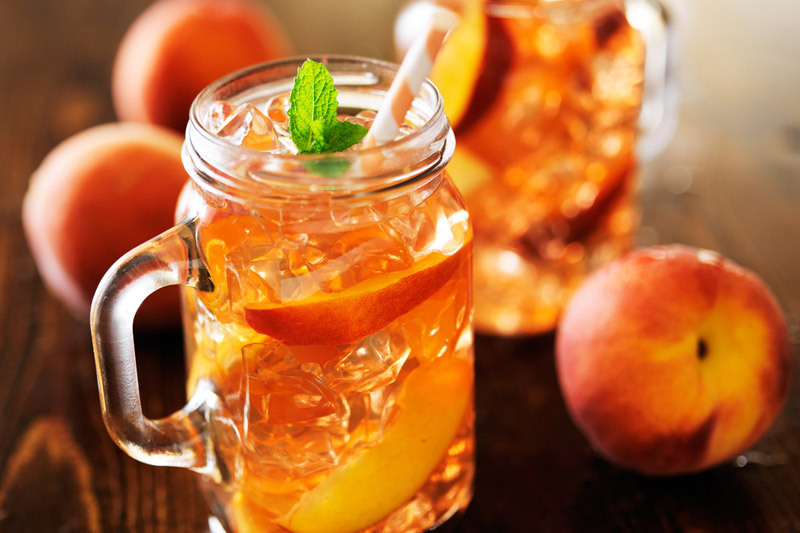 Fill the glass with ice cubes and put peach and rum. Pour MOSCATO d’ASTI Docg and mix. Garnish with mint leafs and a straw.